PVD = Physical Vapour Deposition ist die wörtliche Übersetzung. Darunter versteht man die Vakuum-Metallisierung, also das Aufdampfen verschiedenster Materiallien wie z.B. Aluminium, Gold, Silber, Platin, Chrom usw. als Oberflächenveredelung. Diese Beschichtungsweisen werden überall eingesetzt, wo massive und teure Edelmetallteile durch beschichtete Komponenten ersetzt werden können. PVD = Physical vapour deposition is the word to word translation. PVD is a method of vacuum deposition and is a general term used to describe any of a variety of methods to deposit thin films by the condensation of a vaporized form of the material onto various surfaces ( e.g. aluminium, gold, silver, platinum, chrome, etc.) as a surface processing.These coating methods are used wherever solid and precious metals can be replaced by coated components. Der Chronograph besteht , genau wie die Stoppuhr, aus einem Standard-Uhrwerk mit einem unabhängigen Mechanismus, der laufend oder mit Unterbrechungen Zeitspanne misst und anzeigt. Somit eine Uhr mit zusätzlicher Kurzzeitmessung, die mittels einem zusätzlichen Zeiger (Chronozeiger) angezeigt wird. Gestartet, gestoppt und auf Null zurückgestellt wird er mit einem Drücker auf der Gehäusewand. 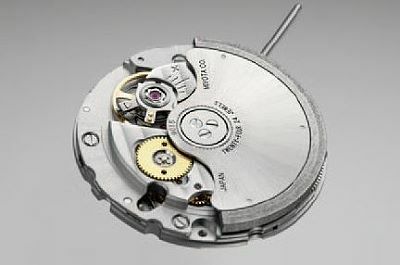 The chronograph consists, same way as a stop watch, of a standard movement including an independently operating mechanism which is indicating and registering the space of time continually or with breaks. So we speak of a stop watch function included along with time keeping, without interferingwith the continuous time and indicated by an additional hand (Chrono hand). It is activitated, stopped and reset to the 0-position by a pusher on the side of the watch. This Red Bull Holden Racing Team Special Edition is a high performance piece made for racing. The watch features a 48mm 316L steel case with a blue PVD bezel and real carbon dial with the logo of the Red Bull Holden Racing Team. TW STEEL - BIG IN OVERSIZED WATCHES! Einen besseren Slogan hätte man kaum wählen können. Freunde von großen XXL Armbanduhren werden schwerlich an der noch jungen und trotzdem sehr erfolgreichen Marke vorbeikommen, zumal die faire Preisgestaltung einen hohen Gegenwert verspricht. Ein ansprechendes Zifferblattdesign ist Pflichtprogramm - wirkt ein großer Zeitmesser doch sonst schnell langweilig. Diese Kunst scheint man bei TW Steel vollkommen zu beherrschen. Wer also einen robusten Alltagszeitmesser sucht wird mit einer TW Steel Uhr bestens bedient sein. There couldn’t be found any better slogan! Fans of big XXL watches will hardly be able to ignore this young, but nevertheless very successful brand – especially since the fair price really promises an equivalent high value. Sometimes oversized watches risk to look boring – far from this are the TW STEEL watches! The very distinguished, attractive design, focused on the dial, combined with reliable technology, are the pillars the company’s philosophy is based upon! If you are looking for a solid everyday timekeeper you’ll be extremely well satisfied with a TW STEEL watch and you’ll always gain admiration for your choice.